Quality, first-class nurseries are provided for all of our regular weekly services. Loving nursery workers not only provide a clean and safe environment but also have special training enabling them to attentively and properly care for each child. Parents can have peace of mind while they attend their Sunday School class or enjoy one of the church services. 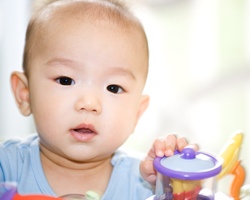 Our nursery is provided for newborns through three year olds.